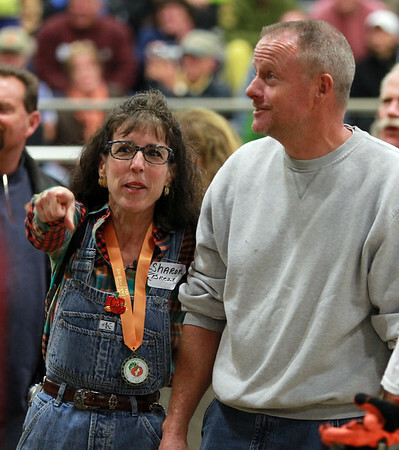 Mark and Sharon Breznick, of Pittsford, VT, eagerly await a final weigh measurement on their pumpkin on Friday evening. DAVID LE/Staff photo. 10/3/14.